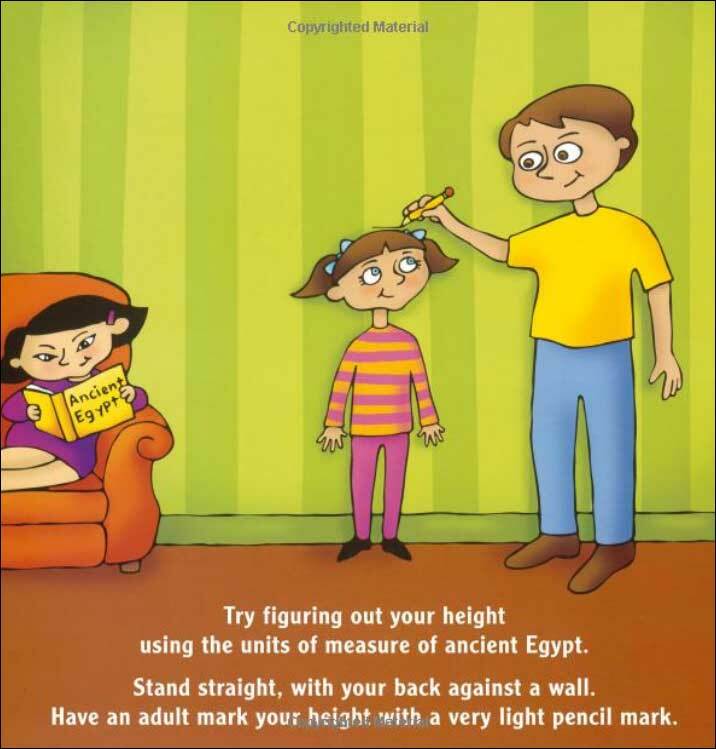 This book is a fun kid-friendly introduction to the history of measurement, from ancient Egyptian cubits and progressing to Roman paces, the English inch-pound system, and the standard metric system. 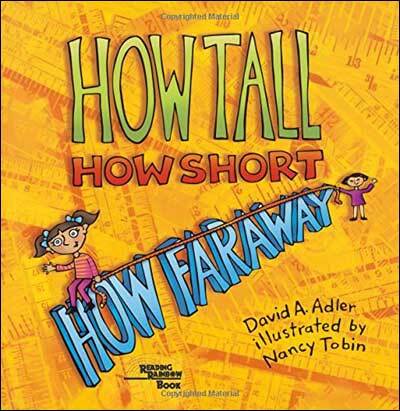 Throughout, the text engages the reader with hands on activities like measuring your height, 'pacing' your neighborhood, making a metric ruler, and determining distances in kilometers. Due to the amount of activities in the text, this title could be used over many class periods! 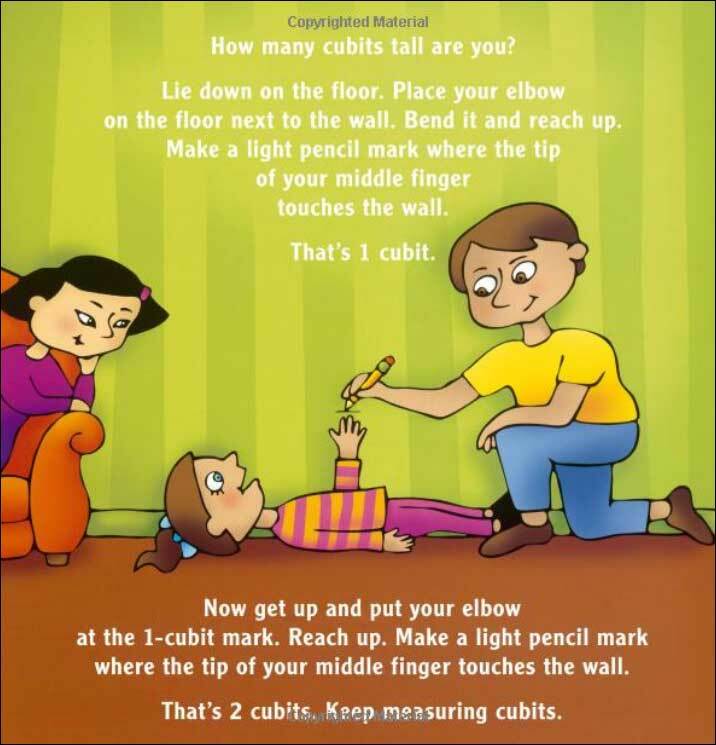 We agree with Booklist, who called it "a good basic book for children who are learning measurement using either the customary or metric system or (more likely) both." 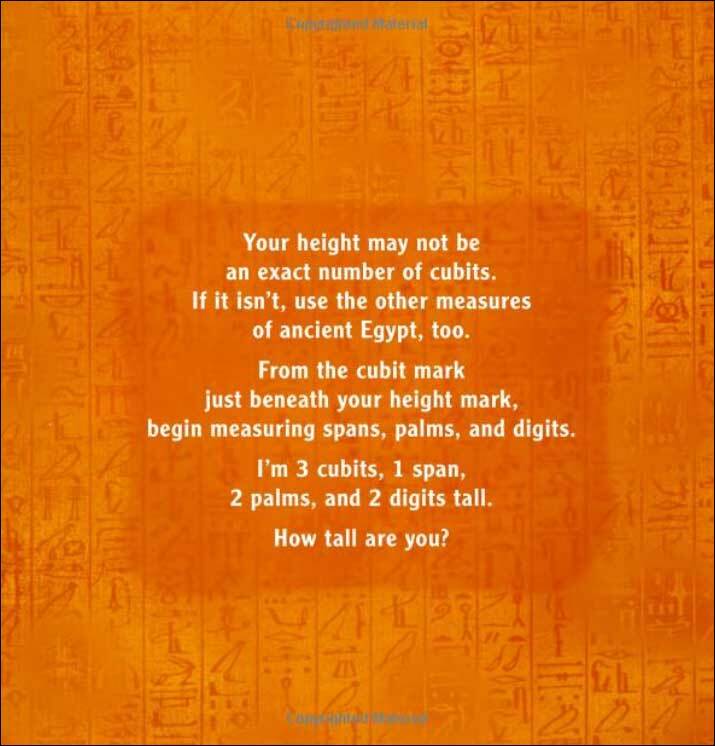 In fact, this book was a National Science Teachers Association Outstanding Book for 2000! 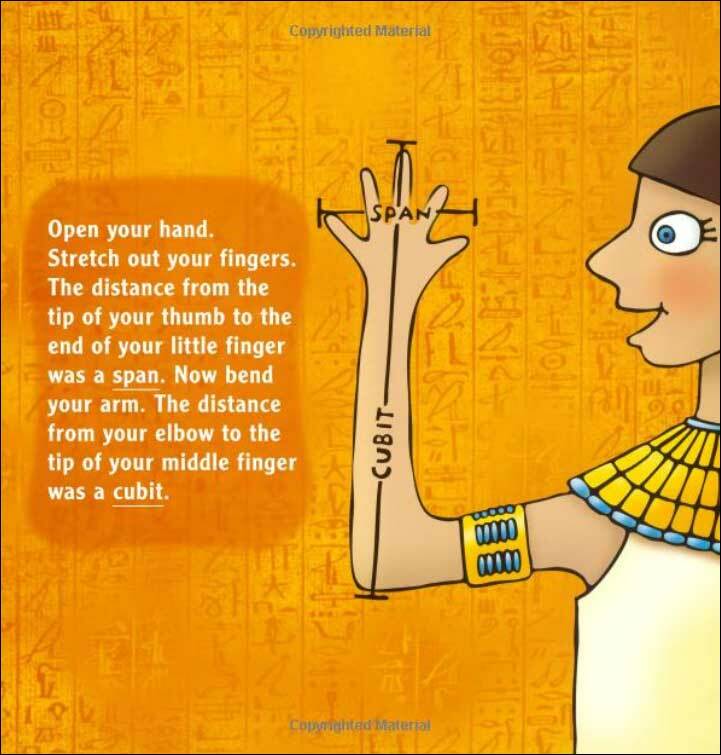 Below are sample pages from inside the book, demonstrating the interactive nature of the text. 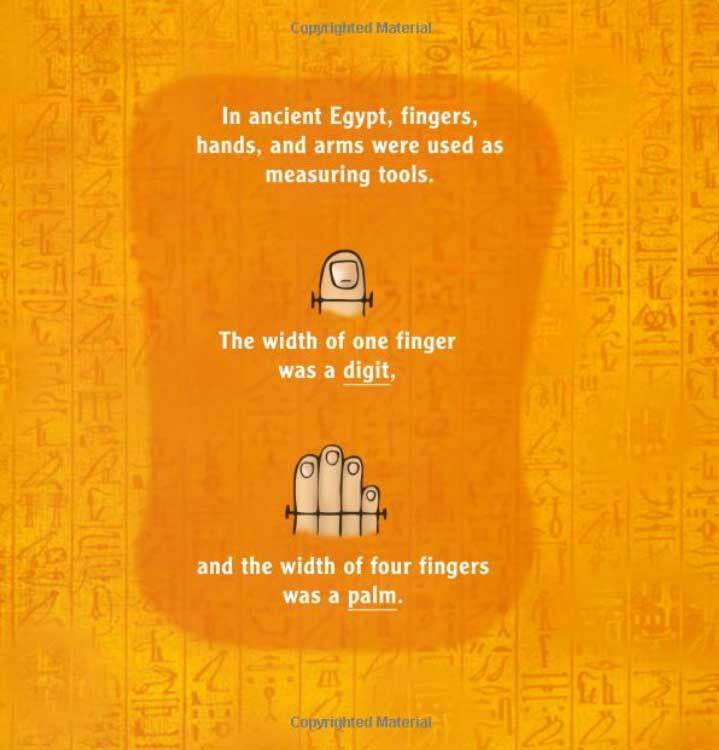 All of this discussion of measurement methods in ancient Egypt helps explain the need for standard measurement, which is part of the first grade math core. 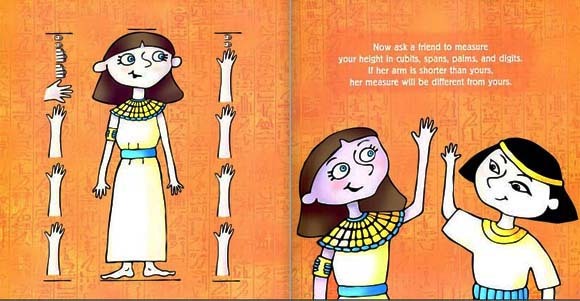 The text reads, "Now ask a friend to measure your height in cubits, spans, palms, and digits. If her arm is shorter than yours, her measure will be different from yours."